A crystal lotus blossom candle holder is one of the most beautiful ways to showcase your candle. Place a mirrored tray on the center of a table that is covered in a white or pastel-colored tablecloth. In the middle of the mirror, put the candle holder. Add a few fresh cut flowers on the mirror, or around it. Be sure to keep the flowers away from the flame of the candles, however. You can use the delicate crystal to create a romantic mood to your bathroom or bedroom. Put the holder on top of the mantle in the family room or living room when guests arrive. People enjoy the way light shines from each of the tips of the crystal blossoms. 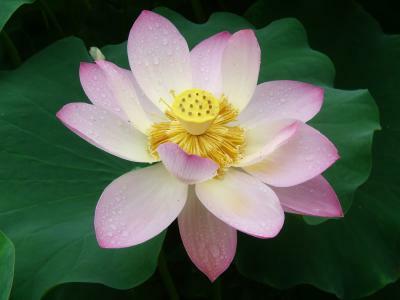 With a glowing candle, this blooming lotus truly illuminates its surroundings. What types of candles can you use in your container? 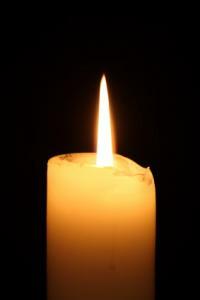 Know that you can shop around the Internet and find sites to buy candles at a discount. Often, buying in bulk is a good way to save money. You may also wish to try your hand at making your own taper candles. 4 Facets - This company offers candle holders of Brazilian amethyst. The lotus petals are made of natural amethyst and the delicate blossom is assembled on top of a slab that is finished in a protective felt. The felt is secured around the base and prevents table tops from being scratched. Each holder is about 5 inches wide and 2 inches tall. Macy's - Elegance is beaming at Macy's! You can buy a pair of Godinger crystal lotus holders. These will look stunning on your dining room table when you entertain guests. Linens and Things - This store sells Shannon crystal lotus pillar candle holders. Instead of a votive or taper, a pillar candle fits nicely into the base of the lotus bloom. Plum Party - To make sure no candle type feels left out, Plum Party offers a set of crystal lotus holders for tea lights. These holders are 4 inches in diameter. Rumors - If you would like to purchase the lotus holders as party favors, Rumors is the company to consider. Each candle holder is about 2 inches in diameter. The more you buy, the less each one is. Buy 48-95 for maximum savings. Now your wedding reception celebration can bloom with the shining crystal blossoms. Place a few on each table. These will look especially glamorous if the reception is held in the evening or night. Lotus blossom candle holders make great gifts. Next time you are shopping, buy one or two for yourself, and a set for a friend.